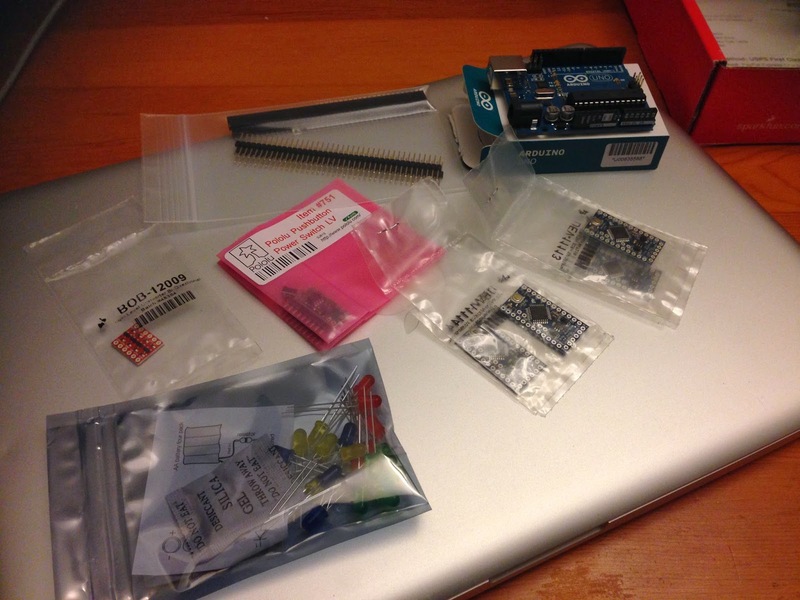 Sparkfun had their "Arduino Day 2014 Sale" this past weekend. Thanks to their sale, as well as an additional $20 off thanks to Reddit Gold ($4 for one month), I was able to get a whole lot of stuff at a really good price. Arduino Uno R3 - I wanted a modern board with the 32u4 on it, for doing USB device enumeration type of stuff. My first thought is to put it on my C=64 keyboard, replacing the old Arduino Serial i've got on there, and turning it into a real HID keyboard. That could be really neat. Two Arduino Pro Mini 3.3v - For future projects, including a super small SD interface (below) And for $3, it's a no-brainer. Two soft-power switches - I need one for my Lego RCX/Arduino project, and I figured it'd be nice to have a spare for another project. 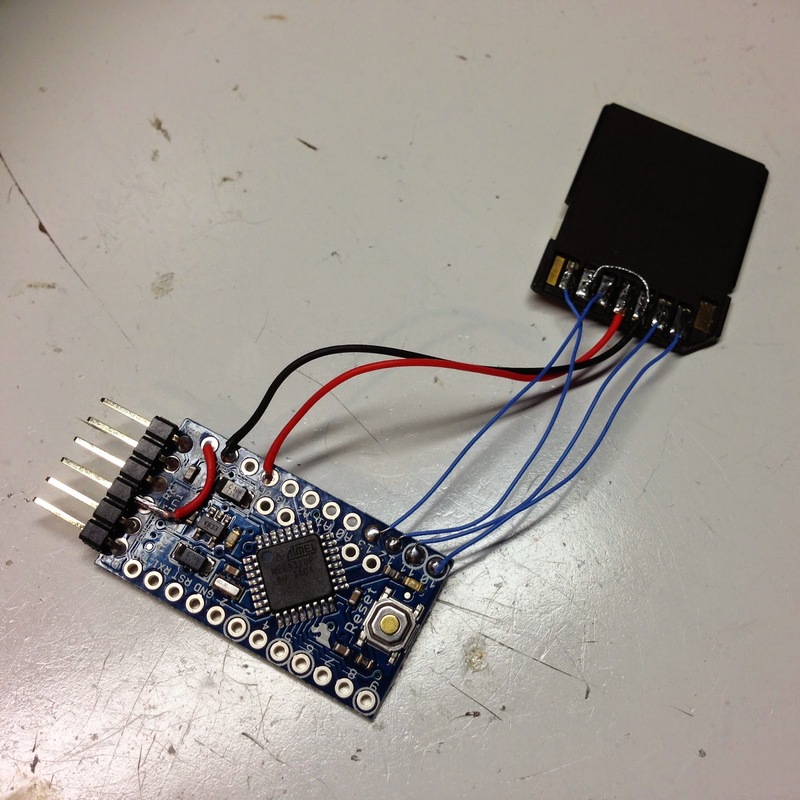 5v-3.3v level converter - I've modified my old Sparkfun SD shield, which did not have level conversion, using resistor networks, and that was always a variable. For the next time I need 3v-5v conversion, I have this thing to use, in my toolbox. Pack of LEDs - because why not. I needed to pad my order to $50 to be able to use the $20 off reddit coupon. Bunch of male and female headers, since I always seem to depleat my supply of these. Useful thingies. 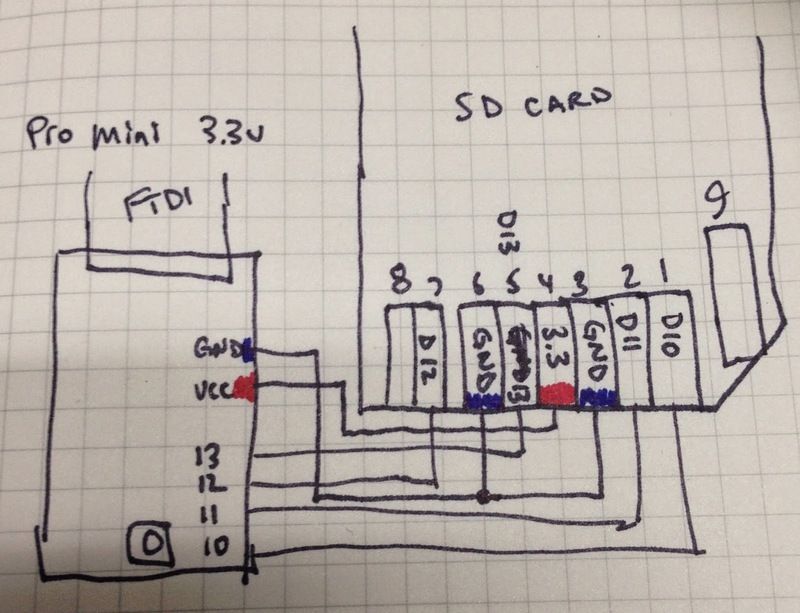 One of the things I wanted to do with the 3.3v Pro Mini was to try to make a serial-sd device as small and as inexpensive as possible, for a serial-based storage device and SD management shell project. 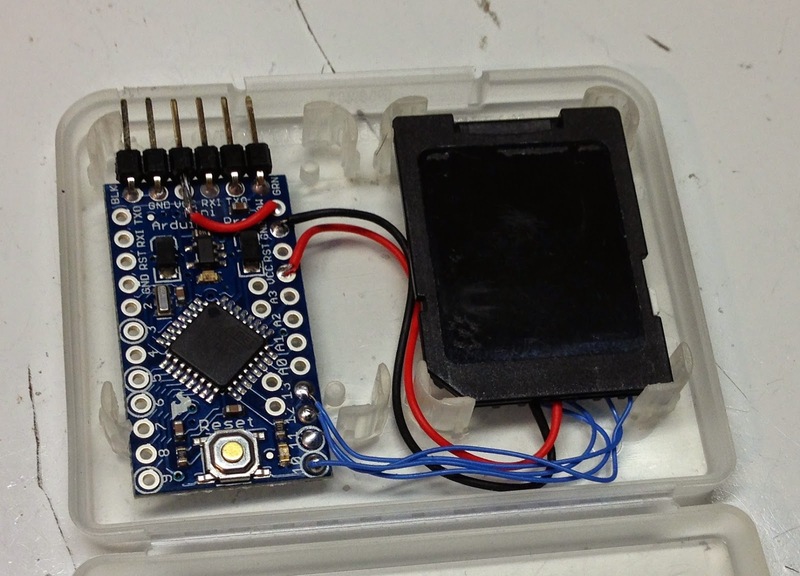 I did the trick of wiring up an SD-MicroSD adapter to the Arduino. Since they're both 3.3v, i didn't need to do any conversion, so it's directly hooked up. It was pretty straightforward wiring here. +3.3v to one pin, ground to two pins, then four data lines. Easy stuff. The only nonconventional thing I needed to do was to wire up the FTDI connector to the RAW power input, rather than directly to VCC on the board. My FTDI interface boards are all 5v, so that would kinda fry things. The short red wire jumper over to the RAW input on the board means that it all gets regulated down to 3.3v, and everybody is happy. I figure that I can eventually work this in with a 2032 Lithium cell holder, RS232 adapter, and shove it into a DB-25 shell, for it to be a tiny "plug into serial port" storage device for my Tandy 102, Amiga 1000 or some other classic machine.